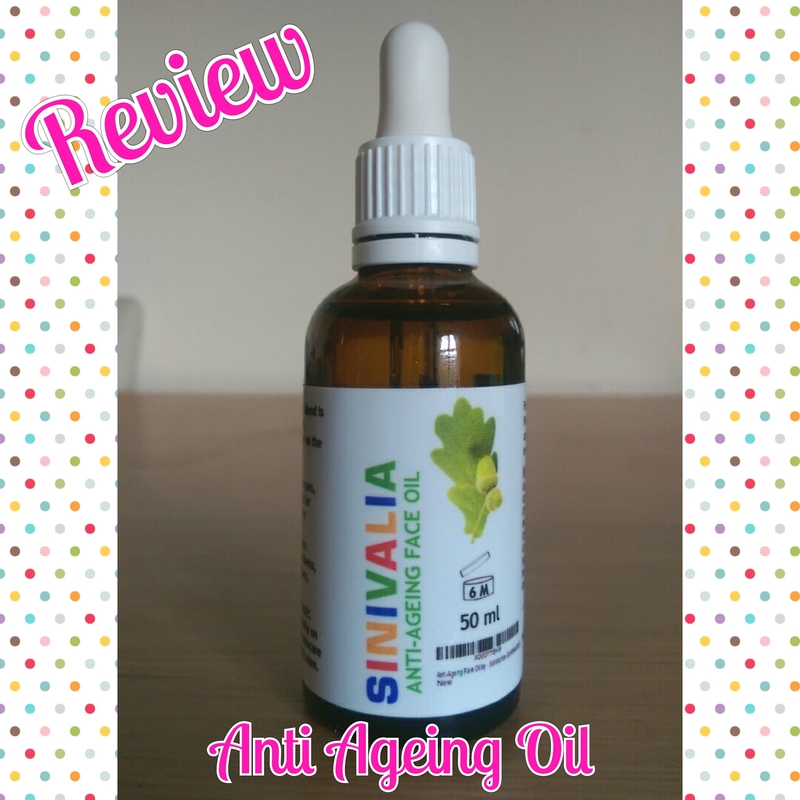 So this the Anit Ageing Face Oil and this comes in a 50ml glass bottle with a dispensing dropper. 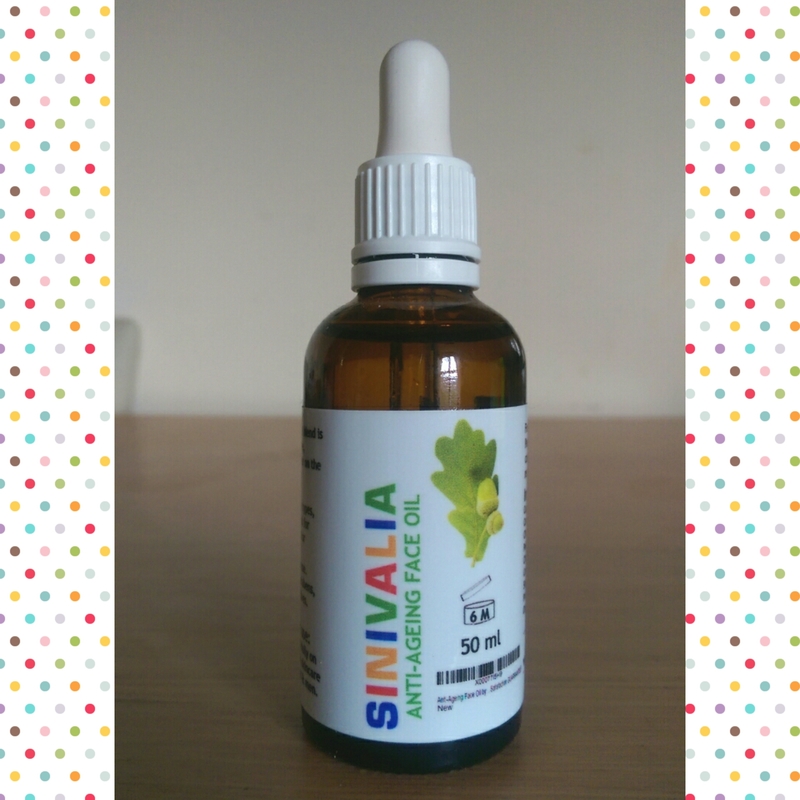 As with everything else I have tested so far this one is also suitable for all skin types and it is especially beneficial for sensitive and damaged or dehydrated skin. As you can see this one has a bit more in the way of ingredients, and I am not going to lie I had to Google a) to see what they were and b) make sure that the weren’t chemical. True to Sinivalia word nothing chemical in this all, all you find in this a mixture that has apricot, Jojoba, grapefruit to name a few. This also smells amazing! Very citrus smell with an undercurrent of rose. It is a clear liquid and I used 1 drop on damp skin after shower, no i expected it to be quite oily but I was surprised when I discovered that wasn’t the case. It left my skin feeling soft, smooth and healthy looking. I love this and would buy it again – if just for the smell alone.